He graduated from Bath University in 1994 with a first class degree in Biochemistry following two successful placements at Glaxo Wellcome and Northeastern University, Boston. 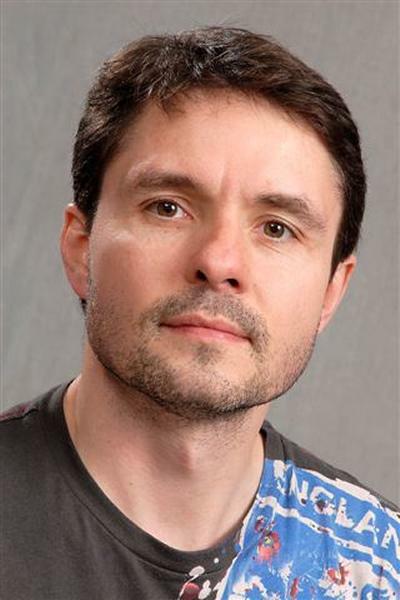 He then moved to Southampton, undertaking a PhD in Immunology and Immunochemistry in the Cancer Sciences Unit (CSU). Following his PhD, he was awarded a career track fellowship within the School of Medicine and subsequently obtained a prestigious fellowship with the Leukaemia Research Fund (now Leukaemia and Lymphoma Research/Bloodwise). This fellowship involved a period of study in the world-class laboratory of Andreas Strasser at the Walter and Eliza Hall institute in Melbourne. He returned to the UK in 2007, to establish his own research group within the CSU. His research group is interested in two main areas - antibodies and small molecule inhibitors with the aim of understanding how these therapeutics function to delete tumour cells and how they might be augmented. Throughout the strategy undertaken by the group is highly translational with iterative cycling between in vitro experiments, appropriate in vivo model systems and primary clinical material. The research group currently comprises eight Postdoctoral fellows (Dr Mathew Carter, Dr Lekh Dahal, Dr Russell Foxall, Dr Kam Hussain, Dr Jane Willoughby, Dr Robert Oldham Dr Kirsty Cleary, Dr Theo Sanders), three research assistants (Kerry Cox, Hannah Smith and Tom Murray), eight PhD students (Michael Marshall, Sofia Macari, Emma Sutton, Jordanna Griffiths, Chris Orr, Josh Sopp, Rena Liu, Alex Simpson) and a clinical research fellow (Dr Tom Cummins). The research group is interested in two main areas - antibodies and small molecule inhibitors with the aim of understanding how these therapeutics function to delete tumour cells and how they might be augmented. How monoclonal antibodies (mAb) achieve their therapeutic function is currently unclear. Although all antibodies are theoretically able to engage with the host effector systems of complement and effector cell activation, only a handful of mAb specificities evoke substantial anti-tumour responses. The anti-CD20 and BCR mAb are two such specificities, both of which have shown significant efficacy against B cell lymphomas. The group is therefore actively pursuing why this is the case and probing means by which the efficacy of these mAb might be augmented. The group, in collaboration with Professor Martin Glennie showed that most CD20 mAb are especially potent at activating the complement pathway (Cragg et al. Blood 2003, 2004). These so-called Type I anti-CD20 mAb also appear to transmit intracellular signals such as calcium flux into the target cell through an interaction with the BCR (Walshe et al. JBC 2008). The more rare Type II anti-CD20 mAb do not activate complement efficiently or signal for calcium flux but instead evoke a non-apoptotic cell death pathway (Chan et al. Can Res 2004). Recently the group has shown that Type II mAb are far superior to Type I mAb in depleting B cells and that this is independent of the ability to activate complement (Beers et al. Blood 2008, 2010). In collaboration with Dr Andrey Ivanov and Professor Tim Illidge (Manchester), the group has shown that this death is potentiated by irradiation, is also seen with glycomodified type II mAb and involves ROS generation (Ivanov et al. Clin Can Res 2008, Alduij, Blood 2011, Honeychurch Blood 2012). Interestingly, this augmentation appears to be dependent upon the MEK-ERK pathway and is able to overcome potent inhibitors of apoptosis such as Bcl-2 (Ivanov et al. Clin Can Res 2008). A key discovery of the group relates to the observation that not all anti-CD20 mAb are stable on the surface of primary cells. This work, (Beers et al. Blood 2010) demonstrated that Type I but not Type II are rapidly internalised from the B cell surface and that this results in consumption of the mAb and reduction in their ability to engage key effector functions, both of which reduce the efficacy of these mAb to deplete target cells. Furthermore, primary clinical samples were shown to undergo the same process of internalisation albeit with substantial heterogeneity. Two members of the lab are currently exploring the molecular basis of this heterogeneity. Dr Sean Lim, a previous clinical fellow in the lab subsequently demonstrated that this internalisation is precipitated by the expression of the inhibitory FcgRIIB (Lim et al Blood 2011). The utility of high FcgRIIB expression as a poor prognosis biomarker has so far been established in two different studies (Lim et al. Blood 2011; Lee et al. BJH 2014) and is ongoing in several large antibody trials. The underlying basis for the FcgRIIB-mediated internalisation was further studied by Andrew Vaughan in the lab, who showed that other B-cell surface receptors also engage FcγRIIb, with the strength of activation related to the level of mAb bound to the cell surface. However, engagement did not affect internalization of most mAb-ligated receptors. These data identify that FcγRIIb is engaged by many mAbs but that internalization via FcγRIIb occurs for only a select subset. He went on to more closely assess the molecular requirements for the internalization process and demonstrated that in contrast to internalization of IgG immune complexes, FcγRIIb-augmented internalization of rituximab-ligated CD20 occurs independently of the FcγRIIb ITIM, (in fact the whole cytoplasmic domain) indicating that signaling downstream of FcγRIIb is not required. We conclude that the cytoplasmic domain of FcγRIIB is not required for promoting internalization of rituximab-ligated CD20. Instead, we propose that FcγRIIB provides a structural role in augmenting endocytosis that differs from that employed during the endocytosis of immune complex These findings have implications when designing new antibody-based therapeutics. A related project in the lab is exploring the potential of anti-FcgRIIB mAb in augmenting immunotherapy and also in regulating immune responses (Williams et al EJI 2011, Williams et al JI 2013). This project takes advantage of our unique panel of anti-FcgRIIB reagents and also our novel huFcgRIIB Tg mouse produced in collaboration with Dr Bhav Sheth and Dr Neil Smyth. In particular, we are exploring the ability of these reagents to directly kill tumour cells, modulate intracellular signalling and enhance other mAb reagents such as anti-CD20 mAb. The human work is mediated through a close collaboration with Bioinvent International who developed a panel of truly specific FcgRIIB mAb. Using these, we recently showed that mAb-mediated blockade of FcgRIIB is able to potentiate the killing of normal and malignant B cells with rituximab and other direct targeting therapeutic mAb (Roghanian et al. Cancer Cell 2015). We are also aiming to translate these findings into the clinic. In November last year, funding for the first in human trial was obtained through the LLR following review and approval through the CR UK NAC. Led from Southampton by Dr Andrew Davis, the trial will aim to assess the safety and utility of the combination treatment in NHL and CLL. The larger FcR family encompasses a major area of focus for the laboratory and is the theme of our LLR programme. This programme seeks to link genetic, molecular and clinical data in order to better understand how current mAb therapeutics function and involves a large multidisciplinary team of basic scientists and clinicians across multiple sites. This work is performed with Dr Stephen Beers and Professor John Strefford, assessing the cellular and genetic regulation of these receptors, respectively (for recent reviews see Dahal et al, Immunological Reviews 2015 and Hargreaves et al. Immunological Reviews 2015). A third mAb target is the B cell receptor (BCR). Unlike anti-CD20 mAb, anti-BCR mAb appear to induce their therapeutic effects by directly inducing apoptosis in the tumour cells. Therefore a main programme in the lab is seeking to identify the signalling pathway leading to apoptosis in these cells following BCR ligation. The group has already identified that the intrinsic/mitochondrial apoptotic pathway is evoked after BCR ligation and are now addressing which of the key BH3-only proteins are involved (reviewed in Strasser, 2005). To do this the group is making use of a Myc transgenic mouse model developed at the WEHI in Melbourne and the Eu-TCL-1 model developed by Carlo Croce and Yuri Pekarsky. These mice develop spontaneous lymphomas/leukaemias and are genetically tractable allowing a genetic dissection of the key apoptotic machinery involved in BCR apoptosis. In collaboration with Professor Andreas Strasser and Dr Clare Scott (Melbourne), tumours lacking key BH3 proteins are being generated and assessed for their sensitivity to BCR apoptosis both in vitro and in vivo. Dr Matt Carter recently showed that for maximal signalling for apoptosis through the BCR, Bim Bik and Noxa are all required (Carter et al. CDD 2015). Other antibody targets of interest in the laboratory include the inhibitory family of ILT (CD85) receptors. Dr Ali Roghanian leads this aspect of the groups work alongside Muchaala Swana (iCASE in collaboration with Bioinvent). The group has also developed an interest in small molecule inhibitors. Previously the group assessed inhibitors of oncogenic kinases which are hyperactive (through specific mutations) in cancer cells, promoting tumour survival. Understanding how shut-down of these oncogenic kinases results in apoptosis is critical in developing these reagents further for clinical use. In particular, the group are interested in designing novel strategies using a combination of the kinase inhibitors with monoclonal antibodies and small molecule inhibitors. To date the group has shown that Bim is a key BH3-only protein involved in the apoptosis resulting from oncogenic shutdown of the BCR-Abl fusion protein in CML cells (Kuroda et al. PNAS 2006), the activated EGFR in NSCLC cells (Cragg et al. Plos Med 2007) and the mechanism of death evoked by MEK inhibition in B-Raf mutant cells (Cragg et al. JCI 2008). Through this work the group are delineating paradigms of oncogene addiction and identifying whether central signalling pathways are functional in all of these different cellular contexts. Furthermore, the group are using BH3-mimetics in an attempt to overcome the inherent resistance to apoptosis observed in many tumour cells (Cragg et al. Nat Rev Can 2009; Shimada et al. Exp Hem 2012). More recently, the group has taken an interest in how small molecule signalling inhibitors of the BCR can elicit anti-tumour effects both alone and in combination with mAb therapies. This work, led by Dr Matt Carter, is assessing the critical effector mechanisms in each case and is done in close collaboration with Dr Andrew Steele. 1. The role of polyploid giant cells in the genotoxic resistance of p53 mutated tumour cells. This project is part of a long-standing collaboration with Dr Katrina Erenpreisa (Riga). Cancer Cell, Nature Biotechnology, Nature Communications, PLOS medicine, Blood, Journal of Cell Biology, Oncogene, Cancer Immunology and Immunotherapy, Immunology, Journal of Immunology, Journal of Internal Medicine, Leukaemia Research, Apoptosis, Cell death and differentiation, Neoplasia, Clinical and Experimental Immunology, Expert Opinion On Investigational Drugs, The Open Leukemia Journal; Cell Biology International; Current Cancer Therapy Reviews; Experimental Hematology; FASEB J, International Journal of Cancer. Jia-Bin, S., Jan, H., Cragg, M., & Zou, X. (Accepted/In press). Lack of Fcy receptor IIIA promotes rather than suppresses humoral and cellular immune responses after mucosal or parenteral immunization with strong adjuvants. Scandinavian Journal of Immunology, 1-26. Ivanov, A., Cragg, M. S., & Illidge, T. M. (2006). Treatment with the anti-CD20 antibody (B1) and irradiation result in synergistic cytotoxicity that is dependent on MAPK activation. Blood, 108(11), p.710A. Mann, J., Patrick, C. N., Cragg, M. S., Honeychurch, J., Mann, D. A., & Harris, M. (2005). Functional analysis of HIV type 1 Nef reveals a role for PAK2 as a regulator of cell phenotype and function in the murine dendritic cell line, DC2.4. Journal of Immunology, 175(10), 6560-6569. Cragg, M. S., Bayne, M. C., Illidge, T. M., Valerius, T., Johnson, P. W., & Glennie, M. J. (2004). Apparent modulation of CD20 by rituximab: an alternative explanation. Blood, 103(10), 3989-3991. Chan, H. T. C., Hughes, D., French, R. R., Tutt, A. L., Walshe, C. A., Teeling, J. L., ... Cragg, M. S. (2003). CD20-induced lymphoma cell death is independent of both caspases and its redistribution into Triton X-100 insoluble membrane rafts. Cancer Research, 63(17), 5480-5489. Cummin, T., Cragg, M., Friedberg, J. W., & Johnson, P. (2019). Targeted therapeutics for lymphoma: Using biology to inform treatment. In G. Lenz, & G. Salles (Eds. ), Agressive Lymphomas (1 ed., pp. 343-360). (Hematologic Malignancies). Cham: Springer. Kiang, K. S., Zekonyte, J., Johnston, D. A., Beers, S. A., Cragg, M. S., Boden, S. A., ... Chong, H. M. H. (2014). Experimental studies on the effects of surface treatment materials on cell trapping micro-cavities template. Poster session presented at 40th Conference on Micro and Nano Engineering, Switzerland.